Contactless payment cards were introduced to the UK in 2007 and initially, the public were reluctant to accept them. Fast forward almost 10 years and one in every five card payments people make is contactless. It was in 2016 when contactless cards really started to gain popularity and this is shown when the first six months of spending in 2016 surpassed the amount of spending for the whole of 2015. When contactless card payments were first introduced, it remained largely in just coffee shops and sandwich chains, but with the surge in popularity has moved way beyond that. Although contactless payments are seen as a more convenient (and easier) way to pay, there are many people who still worry about falling victim to fraud. The worry stems from the fact that you don’t need a pin to make any payments, so if a potential fraudster manages to get hold of someones card, all they need to do is place the card on to a card reading machine and they could potentially steal your details and pay for goods. However, fraud on contactless devices remains relatively low with £2.8m of losses in 2015 which is equivalent to just 3.6p in every £100 spent using contactless cards. According to the UK Cards Association, between the 1st January and 30th June this year, around £9.27bn was spent using contactless cards. This amount easily surpasses that of 2015, which was a total spend of £7.75bn. 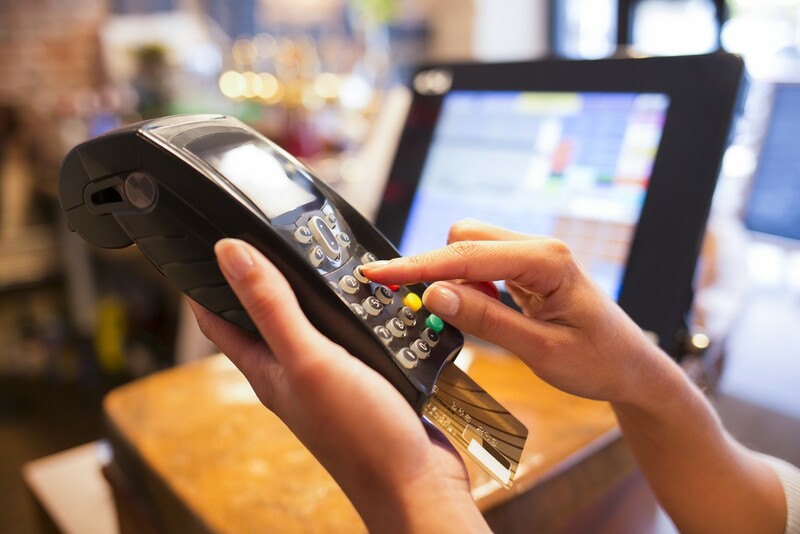 In early September, it emerged that the use of contactless payments has now overtaken cheques. Less than one-third (31%) of Brits used cheques in the three months up to April whereas contactless debit and credit cards were used by 39%. As many as 97% used cash during this period, according to research from Mintel. The maximum spend for a contactless payment was £20. However, this rose on the 1st September last year to £30. This was viewed as an important move because data showed that the average spend in Supermarkets was worth just over £25 so, with the maximum spend increasing, it encouraged the big retailers to get more involved. However, it is surprising to know that the average amount of money spent per transaction is still below £10 with October last year recording an average of £7.72 and £8.60 recorded in May and June this year. Other countries such as Australia and Canada have a maximum limit of $100 (£57) and $100 (£58) respectively, although there are no current plans to increase the maximum limit here in the UK. Although HSBC supply contactless debit cards, they don’t supply contactless credit cards and the reason is unknown. Similarly, Nationwide have more than five million debit cards that support contactless payments, but also do not supply contactless credit cards. However, they will be offering contactless credit cards to its customer base anytime now. Supermarkets have also embraced the technology, with big chain Tesco adopting contactless payment machines which makes paying much more convenient for a lot of consumers. This is in contrast to John Lewis, however, who says they are not planning on using the technology in any of its 46 locations because the average value of transactions exceeds the maximum spend of £30. Although its Waitrose stores did launch the technology back in 2012. Data issued by both Barclaycard and Nationwide have differing opinions, with Barclaycard saying that the contactless cards are most popular with the over 60’s and have now surpassed the 18 to 25 year-olds. However, data published by Nationwide suggests something a little different, by saying over 55’s are “the most wary” when it comes to making payments with contactless cards. Only 45% of over 55’s have taken up the new technology compared to the 25 to 34 year olds, whose number stands at 70% for the total amount of take-up. Almost four in 10 of all card transactions under £30 in London are made by contactless cards, which makes it the leading city in the country in terms of contactless payments, according to Barclaycard. Meanwhile, just over half of all Brits now use contactless cards. Pete Wilmer heads up the firm's Corporate Finance service offering. Having worked in the corporate finance arena for many years with a national accountancy practice and with a major corporate bank, Pete has a wealth of experience and a track record of delivering first-class outcomes for clients. You can contact Pete at [email protected] or 0114 266 7141.